I’VE been trying to feel more empathy for strangers by looking at what they’re wearing and wondering what went through their heads when they picked it out — and not in a horrible way. Like, what thought old men put into their hats, and whether teenage girls are trying to emphasise helplessness when they have sleeves too long for their arms, and if snug jumpers are chosen to feel warm or to feel safe. Of course, I could completely be wrong about their motives, hopes and desires, but the point is it’s making me put myself in other people’s shoes, even when I wouldn’t necessarily wear those shoes myself. 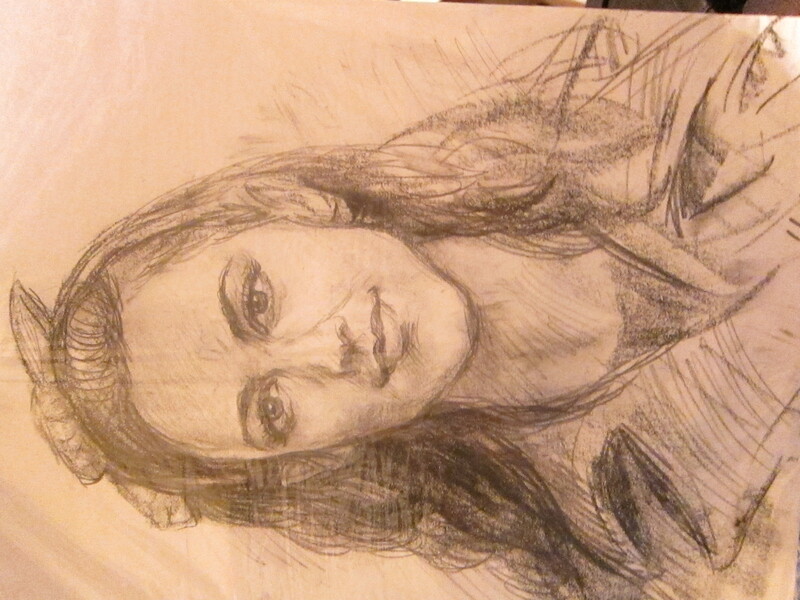 On the same tack, I decide to get a portrait artist on Swanston Street to draw my picture, to see what a stranger thinks when he looks at me. I think this looks more like me than photos do. Apart from the massive chin. John doesn’t approve of caricaturists as, unlike him, they don’t “see the soul”. Twenty minutes and a small crowd later, he’s done. I think he’s summed up my demeanour – detached ambivalence with a small attempt at appearing polite – very well, which means I am succeeding with my facial expressions. Keeper? Yes, will carry on questioning people’s fashion decisions.